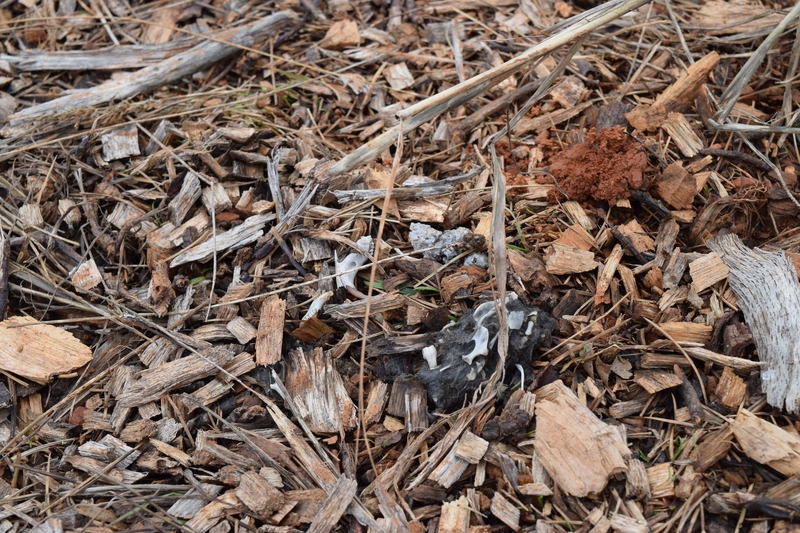 I usually enjoy life and growing things as a farmer, however I was excited in the recent weeks to see the remains of something most definitely dead; owl pellets under an artificial nesting site. After a couple barn owl boxes were installed last year, I have eagerly awaited their occupation. 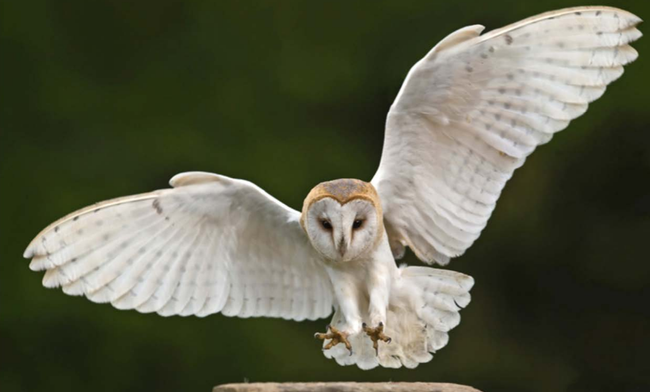 Did you know that a family of barn owls will eat about 1,000 rodents in a single nesting season? 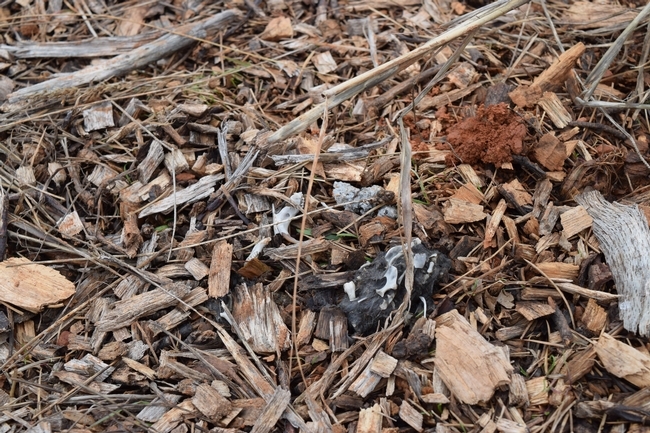 Owl pellet found under barn owl box at Dinner Bell Farm. The recent owl pellet observation sparked my interest in researching the benefits of barn owls in agriculture. I found lots of information but focused on a particularly good peer-reviewed article called Agriculture land use, barn owl diet, and vertebrate pest control implications. (Kross, 2016). I will share with you the highlights, but you are welcome to read the research report yourself. 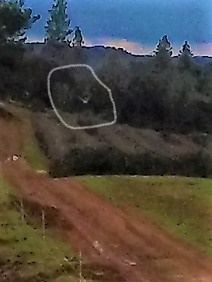 Barn owl spotted hunting over grape vines at Dinner Bell Farm. Research of owl presence at 25 California nesting boxes located mainly on row crops and perennial crops and forage, identified 1044 prey species. Pocket gophers, mice, and voles are generally the most important parts of the barn owl diet. 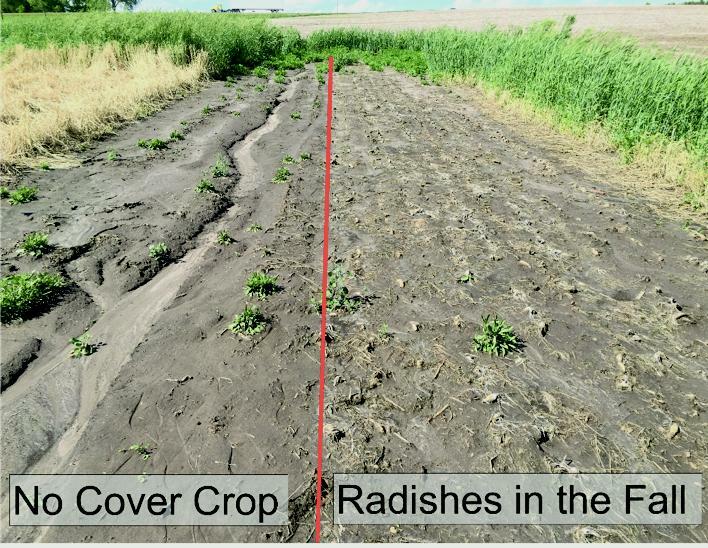 Gopher numbers were highest in owl pellets found near perennial cropping systems but still a significant part of pellets found in annual cropping systems. Although mice are often considered less important as pests than gophers, they can carry pathogens that are a food-safety risk. 99.5% of prey items studied were agriculture pests, therefore owls are likely to provide valuable pest control services for farmers in our area if owl populations are fostered. Barn owls can persist if nesting sites and prey are available. Farmers seem to help provide the rodents, but let's not forget the nesting sites! 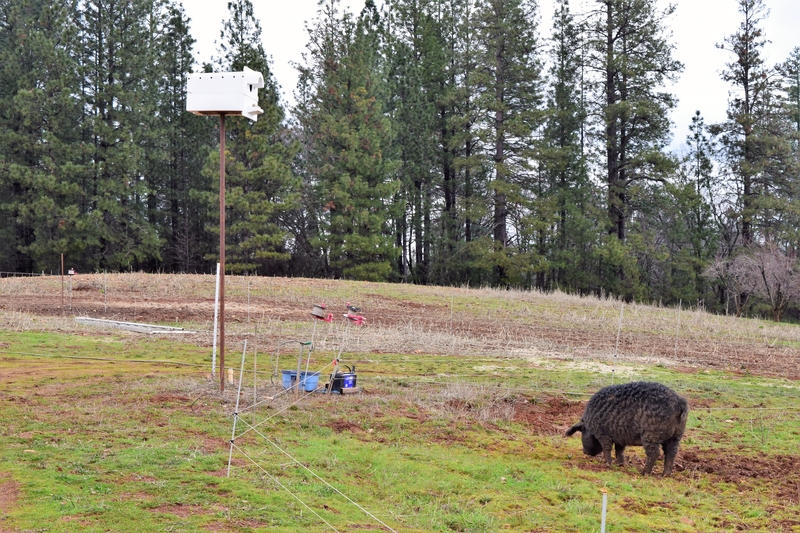 Artificial nesting site installed near forage and orchard cropping system at Dinner Bell Farm. Alternative methods for rodent control such as trapping and poisoning can be expensive, labor intensive, and impact non-target species. 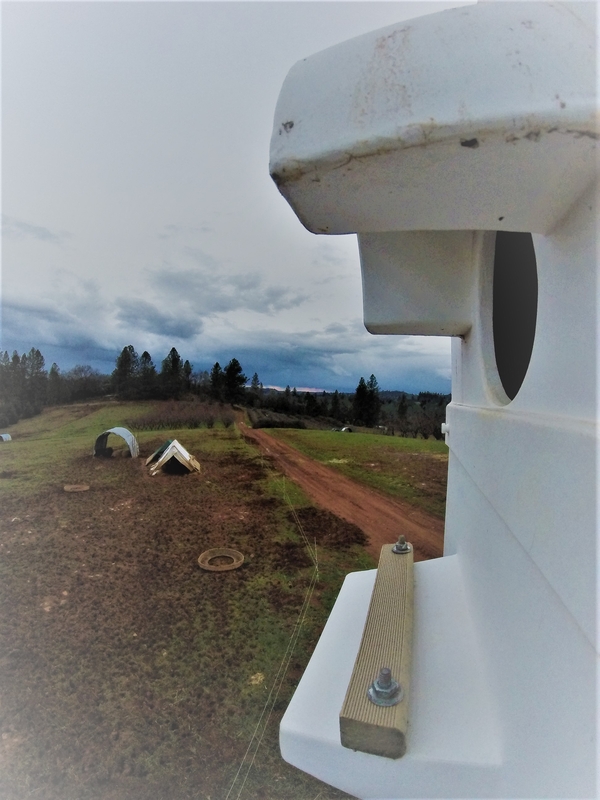 Installation of nesting boxes to attract barn owls is not a proven method for sustained rodent control in agriculture systems by itself, rather it is best included as a component in an integrated pest management plan. Availability of nests sites appears to be the limiting factor of barn owl population growth in habitats that interface with humans (i.e. Farms and Ranches). Barn owls in the studied area occupied over half of the artificial nesting sites available to them, so installing nest boxes on farms may increase the natural barn owl rodent control. Provide abundant nest sites, including nest boxes. Funding and plans may be found through contacting your local resource conservation district. Increase crop type diversity in proximity to nest sites to include both perennial and annual systems to increase owl hunting efficiency. Install nest boxes now for this spring nesting season for best chance of owl occupation in the next 6 months. This handy guide explores the benefits of the biodiversity and aesthetics of songbirds, bats, and owls. While written with vineyard managers in mind, anyone interested in learning about nest boxes will find this guide useful. Purchase this booklet at the link above for $15. Do you have questions about hiring farm employees? Are you considering making the jump from farmer to owner-operator? We have compiled a few key questions you might want to ask yourself if you answered “yes” to either of those two questions. Have you completed a cash flow analysis? Cash flow is not profitability, it is the statement of incoming dollars and outgoing dollars at different times of the year, which results in a cash flow statement. Analyzing your cash flow will help determine if you are able to pay your employees throughout the year, seasonally, or if a budget needs to be made to ensure cash is available when needed. Have you calculated the full cost of employees you want to hire? The minimum hourly wage has increased but that still doesn't account for the myriad of costs attached to hiring an employee. Fulfilling legal requirements for worker's comp, insurance, and other costs can derail your budget; causing not only financial hardship for the farm but also your employees. It is always a good idea to consult with employment experts to find out what exactly it will cost to hire your prospective employee. Do you understand the legal requirements for becoming an employer? First, you will need an employer identification number for tax and legal purposes. Laws and requirements are constantly changing so consulting an expert is recommended. Are you prepared, or have you identified a person who is responsible, for handling payroll, taxes, workers comp and other related paperwork and payments? Handling payroll and other employee needs should be the responsibility of a single person in your operation. 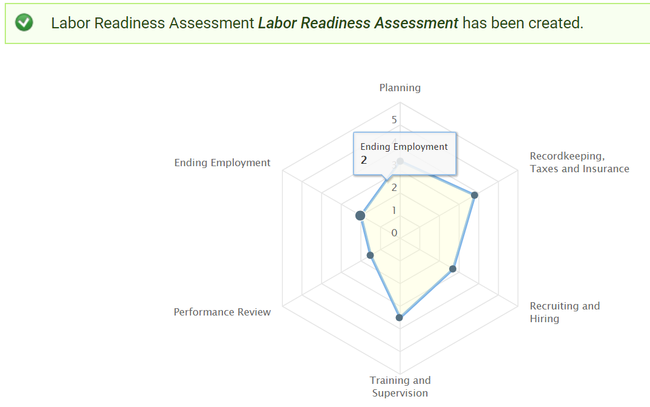 While employees can report their hours and submit forms, a trained individual needs to be responsible for making clerical decisions and correcting common mistakes to avoid headaches later on. If the owner is not able to perform these duties, someone else must. However, that person does not need to be an expert in all of these areas as long as they have qualified advisers in place to help them with tax, insurance, and regulatory decisions. Get your labor questions answered by Bryan Little, from the Farm Employers Labor Service, who will be our guest speaker at the Farmer-to-Farmer breakfast on March 14th, 2019 at Happy Apple Kitchen. Sign-up now at https://ucanr.edu/survey/survey.cfm?surveynumber=26870 . Put it on your calendar today! If you use the labor readiness self-assessment tool listed below, part of your results will include a capture graph like this and a detailed interpretation of each labor-related area and how you can improve. 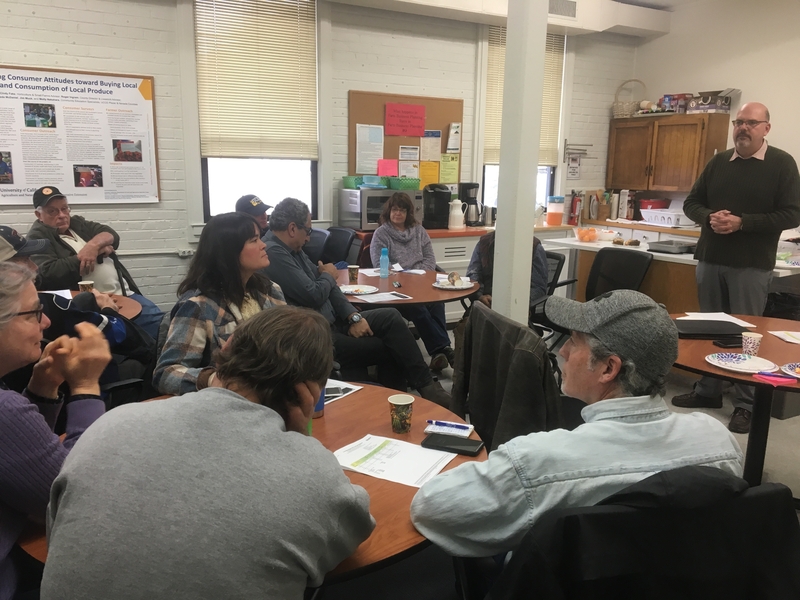 Domenic Fino talks with a room of farmers about crop insurance options at the January 9th Farmer-to-Farmer Breakfast in Auburn. A room full of farmers came out on a rainy Wednesday morning to enjoy breakfast together. Our guest speaker, Domenic Fino of Golden Pacific Crop Insurance Services, came all the way from Dinuba, California. He is a farmer, with a family legacy of farming and has been in the crop insurance business for 17 years. Revenue - While farm acreage and the number of zeros after the dollar sign may be smaller for local farms, revenue earned is revenue that can be lost and can be insured. Fino explained a type of insurance called Whole Farm Revenue Protection (WFRP) that was designed specifically for small to medium producers with diversified operations and unique specialty crops. WFRP has been around for the last five years but has only been available in Placer and Nevada Counties in the last two years. WFRP is currently available in all counties in all 50 states. Records - Fino brought a wealth of experience and information to local producers. He helped explain that WFRP works only if the producer is able to keep proper records and has been reporting revenue on their taxes. “Garbage in, garbage out” Fino said, speaking of how important diligence in record-keeping and setting up the policy makes processing easier when there are claims. Reporting - Whereas most types of insurance require claims to be made right after a loss, WFRP is unique in that a producer may only complete a claim after filing taxes for the year. Restrictions – At the farmer-to-farmer breakfast, producers also learned of a few crops that are excluded from WFRP, mushrooms and timber. However, there is a program that can provide assistance for those products called Non-Insured Assistance Program (NAP) which is accessed through the Farm Service Agency. Several mandarin growers learned that while you must have at least two crops for WFRP with the second making at least 17% of your revenue, if you only sell mandarins, there is another option. Single Crop Insurance - Mandarin only crop insurance is already available in six Southern California counties. Any mandarin farmer may request that type of crop insurance in their county. Once enough farmers request a single crop insurance in a county, it can create a bank of information that will eventually make that type of insurance written specifically for that county. Interested in attending a farmer-to-farmer breakfast? There is another one right around the corner. Wednesday, February 13, at Happy Apple Kitchen in Chicago Park. Look for a sign-up link coming soon. Erosion comparison, control on the left, cover crop on the right. Risk – What are you waiting for? As the old saying goes, when it rains it pours. Nobody knows that better than we do right now, literally. For most farmers, rain is a good thing. However, for mandarin growers the amounts of rain and lengthy periods of high humidity are not good for mandarins in the middle of the season. This brings up the issue of risk on the farm. Drought, wildfire, food safety issues, crop loss, rain or frost damage are just a few of those risks. Despite the periodic heavy rains, Placer and Nevada Counties are considered “abnormally dry” for this time of year according to the national drought monitor. After moderate and severe drought, this may seem like a fairly normal year. With shifting climates the “abnormal” could become normal over time. As we saw this fall, wildfire tore through thousands of homes and hundreds of thousands of acres. It seems the “most devastating wildfire in history” is becoming a headline each year. While the risk of catastrophic wildfire seems to be increasing each year, rain and frost damage have historically plagued foothill farms. With travel throughout the world as easy as an overnight plane ride, international agriculture pests and diseases are also a real possibility here. I am not trying to scare you - I just want to highlight the need for farmers and ranchers to be aware of and plan for risks, and have the necessary resources to get through it. Mother Nature is not the only risk; consider the romaine lettuce farmers on the Central Coast who had no market this fall when E. coli was found in that product. Even if one farmer did everything possible to maintain food safety, their crop may have been a total loss. Wouldn't you be glad to have crop insurance or revenue protection in place if you were in their shoes? 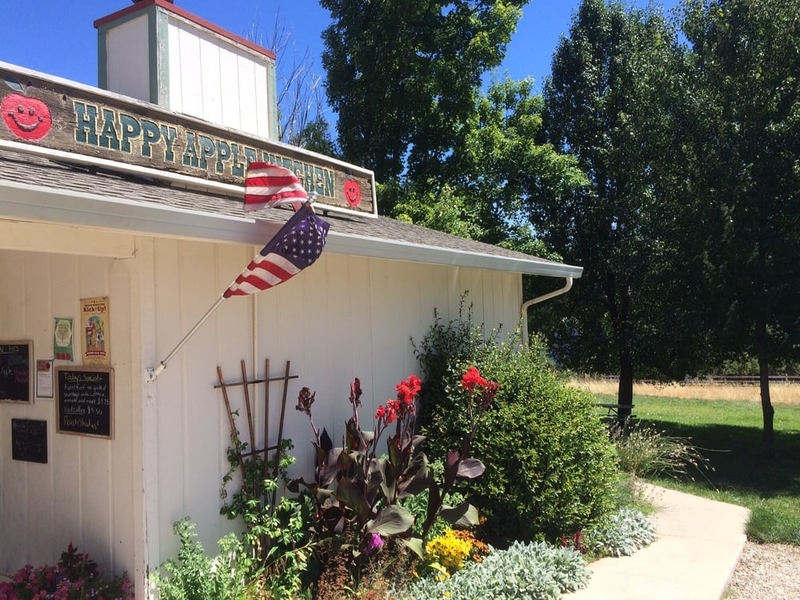 You will have the opportunity to hear from a fellow farmer and insurance agent, Domenic Fino of Golden Pacific Crop Insurance at the Farmer-to-Farmer Breakfast on January 9th at the Auburn UC Cooperative Extension office, from 8 to 11 AM. Sign-up today at http://ucanr.edu/survey/survey.cfm?surveynumber=26336 It's time to be informed and prepared to protect your farm.